Ikron Corporation is a behavioral treatment facility that mainly focuses on providing patients with services that can assist in addressing addictions and substance abuse disorders. The facility is also equipped with highly experienced staff members that are able to address co-occurring illnesses that the patient presents when they are initially assessed by the intake coordinators, which often include symptoms associated with depression, bipolar disorder, anxiety, self-esteem issues, and other mental health problems. While the Ikron Organization initially founded the Cincinnati branch to provide treatment to patients in the local area, they have since expanded their services toward the Greater Seattle area as well. Each of the centers that the organization owns at the moment is represented separately on the company’s official website. There are no housing facilities or benefits that are provided to any of the patients who need to undergo a treatment program that the Ikroon Corporation has developed. None of the services that are offered features any type of residential treatment option, but are rather based on outpatient settings. This means that patients will only report to the facility that is closest to their location at dedicated times, which will be provided to them upon their initial admission to an outpatient program. The patient needs to reside at home and only visit the Ikron Corporation’s facility when agreed upon to undergo therapy sessions and other services rendered by the company. All of the treatment options that are presented to patients who would like to recover from their addictions at the Ikron Corporation are based on outpatient program settings, which means the patient will not reside at the facility, but rather report to the center at specific times to undergo treatment and to take advantage of the additional services that the facility can offer apart from the main addiction treatment solutions. All patients will first undergo a diagnostic assessment with the intake counselors at Ikron Corporation to determine what specific types of services need to be provided to them for a successful recovery. Patients will also be asked questions about their employment status, as the company aims to help those who are not employed gain access to the skills and opportunities that they might need to start building a career for themselves. As part of the treatments that are available at the Ikron Corporation, patients are provided with frequent counseling sessions. These therapies will ultimately help address specific concerns in regards to the patient’s mental health and also ensure the patient can have a better opportunity to recover – not only from their addiction but also from mental disorders that they might be suffering from. Therapy options include both individual counseling and group counseling sessions with licensed and highly trained therapists. The Ikron Corporation understands that not all patients that come to them might be able to afford treatment. In fact, many of the patients who are treated at the company are unemployed when they first visit the facility. This is why they utilize a sliding-scale fee structure in order to ensure the amount they bill the client is affordable to them specifically. While it does not seem like Ikron Corporation has been awarded any specific accreditations from boards in the local area or National Bodies such as the Joint Commission, the company does seem to hold licenses and memberships with several authorities within the Ohio state. 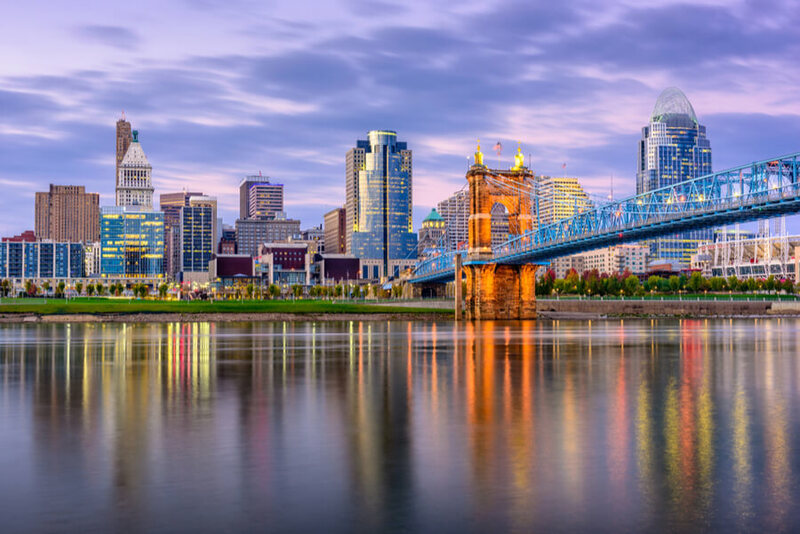 The organization has been licensed to provide addiction recovery services by the City of Cincinnati, and they currently hold an active membership with the Mental Health & Recovery Services Board. Further details of accreditations that might have been awarded to the company in the past can be obtained by getting in touch with the intake staff. Since Ikron Corporation only provides patients access to a range of outpatient treatment services and solutions, there are no special amenities that are noteworthy to the patient. It should, however, be noted that the facility does not only help the patient recover from their substance abuse disorders and co-occurring conditions, but they also help the patient through a range of additional services. The company is able to offer the patient access to employment services, which they believe is an important step toward lifelong and effective recovery. Youth services, peer services, and several support services and solutions are also offered to patients who are being treated at the Ikron Corporation. Ikron Corporation has a page on their official website that has been dedicated to providing the names of employees who offer their services to the who are being treated at their facility. Both of the facilities have their own dedicated staff pages, where patients can become acknowledged with the names of the management staff, support staff, and other members that they might meet when they are being treated through one of the outpatient programs that the facility offers. Unfortunately, even though an extensive list of staff members are shared, the company does not provide details such as the experience and qualifications of these staff members, and no photographs are provided either.